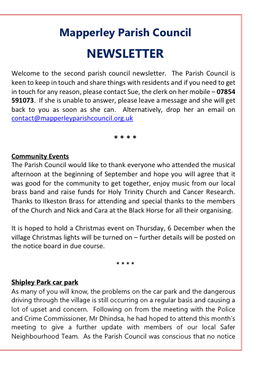 The Parish Council produces a periodic newsletter for residents. You can view the second edition (October 2018) by clicking here. Updates will be listed in the News and Updates panel on the home page as they are published.